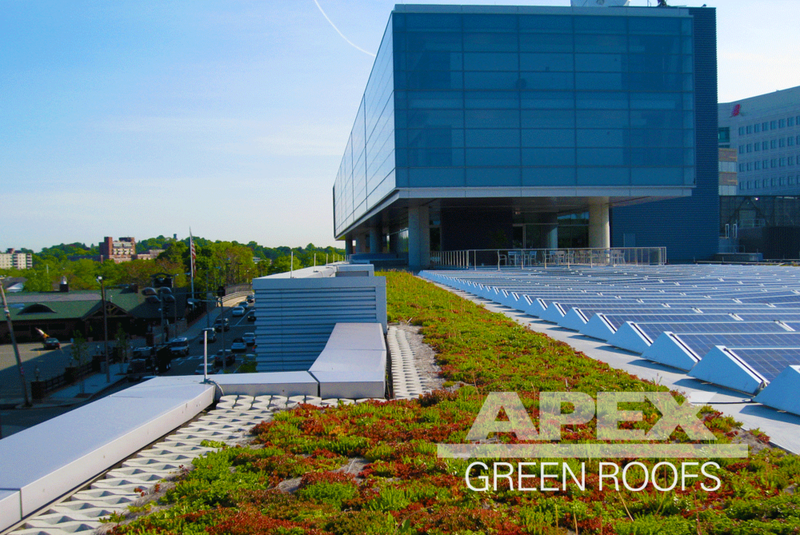 Installed in the spring of 2008, the green roof at WGBH is one of the first green roofs to combine solar and vegetative roof technologies. Both provide for a nice backdrop to the first Polshek Partnership building in Boston. The roof was established from cuttings and has accomplished near complete coverage over the coarse of its first year of growth.